Our Mums are the ones who take care of us when we're ill or send us positive reinforcement when we're going through a rough patch and Mother's Day is a great time to tell Mums how special they are and show them that we care. Here are a few gift and DIY ideas inspired by a few of our favourite websites and bloggers to help you with your Mother's Day gifts. All of which can help you to save money. 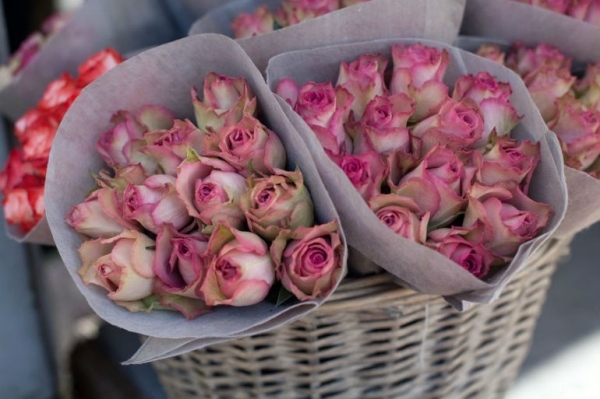 If you are going to spend Money on flowers then take a look at a few last minute deals you can get that will save you on the rather pricey bouquets you can pick up on Sunday 14th March. Pay a visit to our Money Maestro, Kalpana Fitzpatrick, on her blog Mummy Money Matters where you can get a 25% off deal on Debenhams flowers. You can also try and look around at the online greetings cards providers, such as Moonpig.com, who currently offer a free card with all Mother's Day flowers. A great alternative to flowers can be a bouquet of balloons. Martha Stewart, Queen of DIY has created a nifty Mother's Day Balloon Bouquet guide. It includes some cutting and a few key materials which you should have lying around the house but is a rather effective way to show your Mum your more creative side! Spending quality time with your Mum is possibly the best gift you can give her so why not promise her an afternoon tea when you write in her Mother's Day card? You can gather some great chintzy china from second hand shops and by buying them from a charity shop, you're also doing a little bit of good for others too. Mix and match china cups and saucers and look out for a 3 tiered cake plate. You can also try and find a tea pot, milk jug and sugar pot if you really root around. Even if baking isn't your thing, it is a lot more affordable than going out to a fancy tea room when you get a cake craving. There are lots of great baking blogs out there to help you find your inner patisserie but we just love this simple cupcake idea for Mother's Day. Chamomile cupcakes with lemon and honey icing are a pretty but unique enough to give your Mum this Mother's Day. Have a bash at the recipe where baker-blogger Kristy shows you how to whip these beauties up on her Ever So Sweet blog. Present them as beautifully as Kristy has and your Mum will be begging or the recipe! Remember, we have our free personal software Money Dashboard which you can sign up to which can help you save money. Sign up and tweet @MoneyDashboard to let us know how you're getting along!